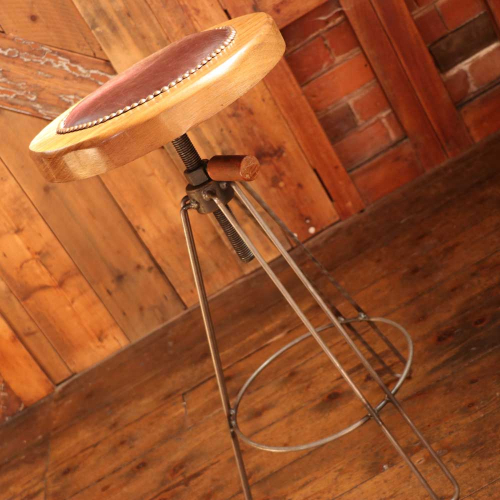 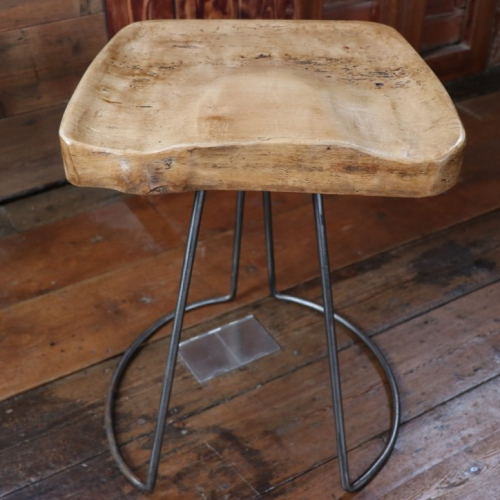 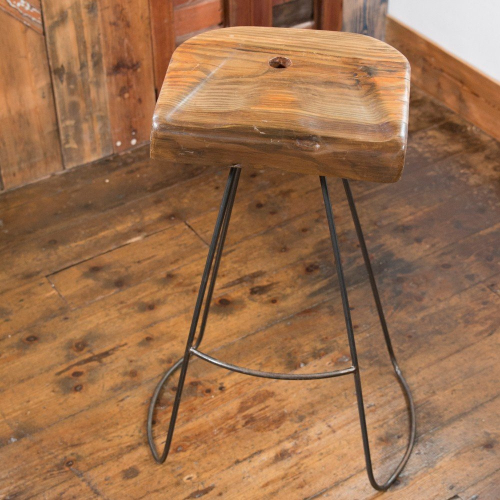 Perfect for those looking for a little nostalgia or just a super trendy stool. 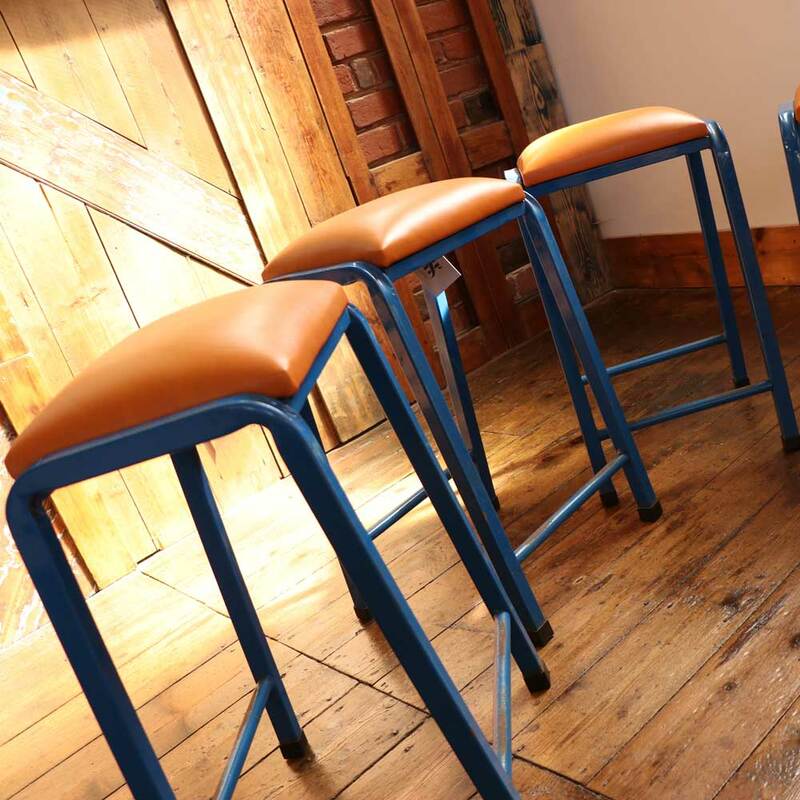 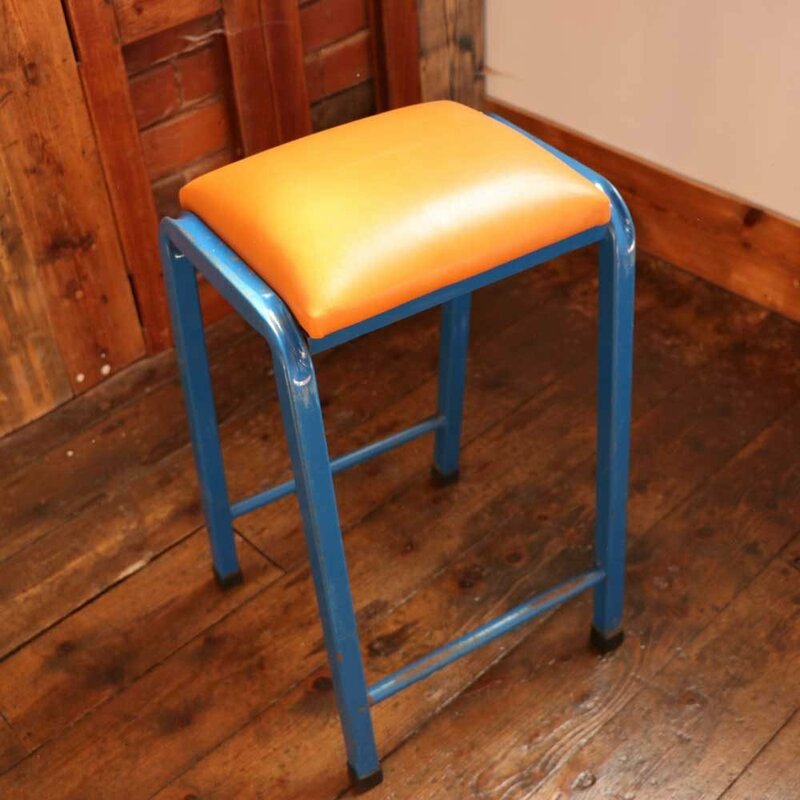 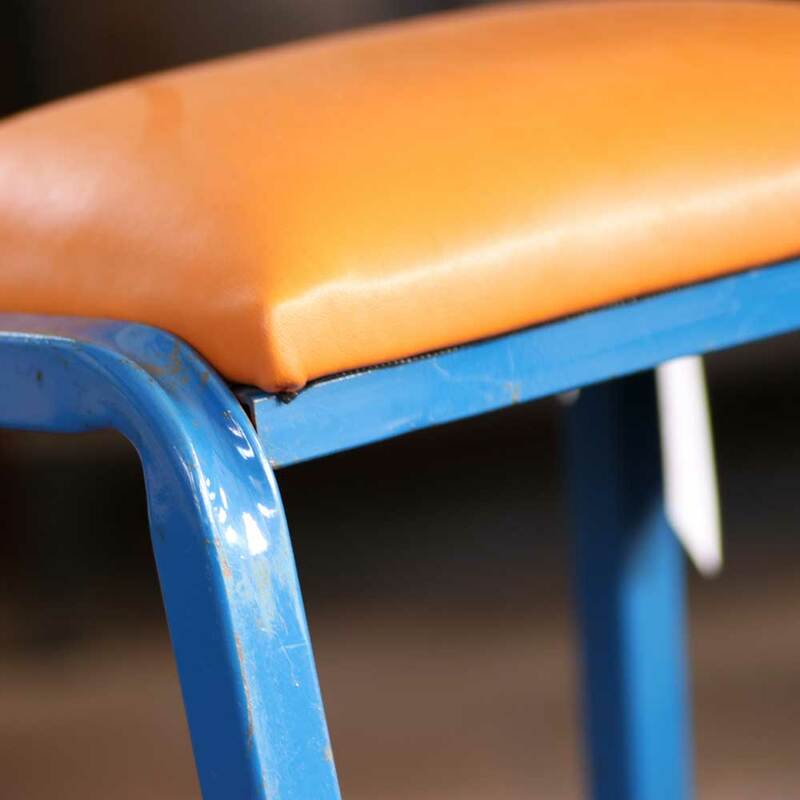 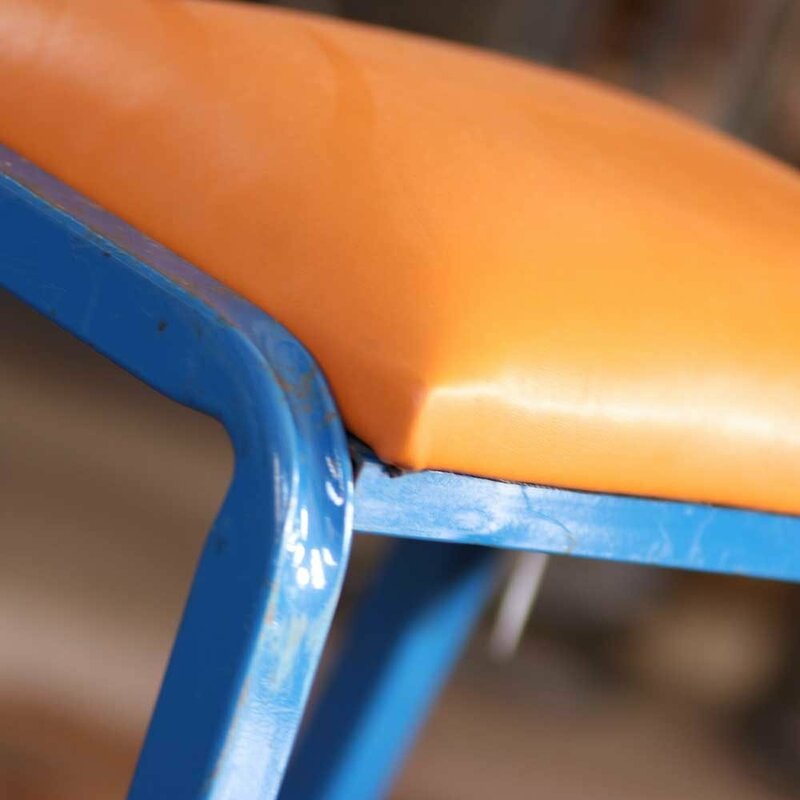 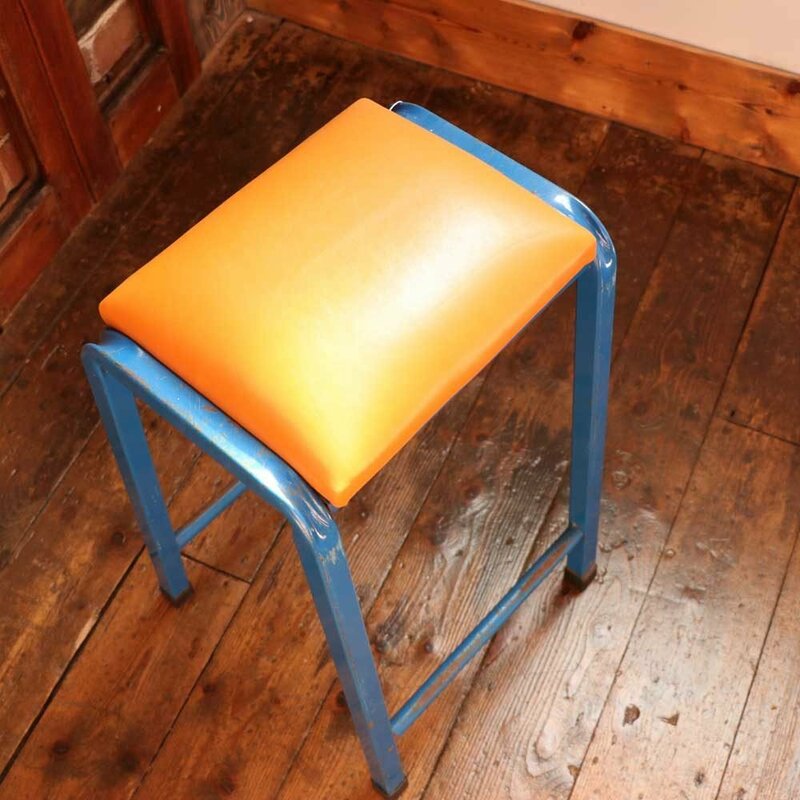 We’ve transformed this old lab stool by replacing the old uncomfortable ply base top with a new and stylish Orange Italian leather seat. 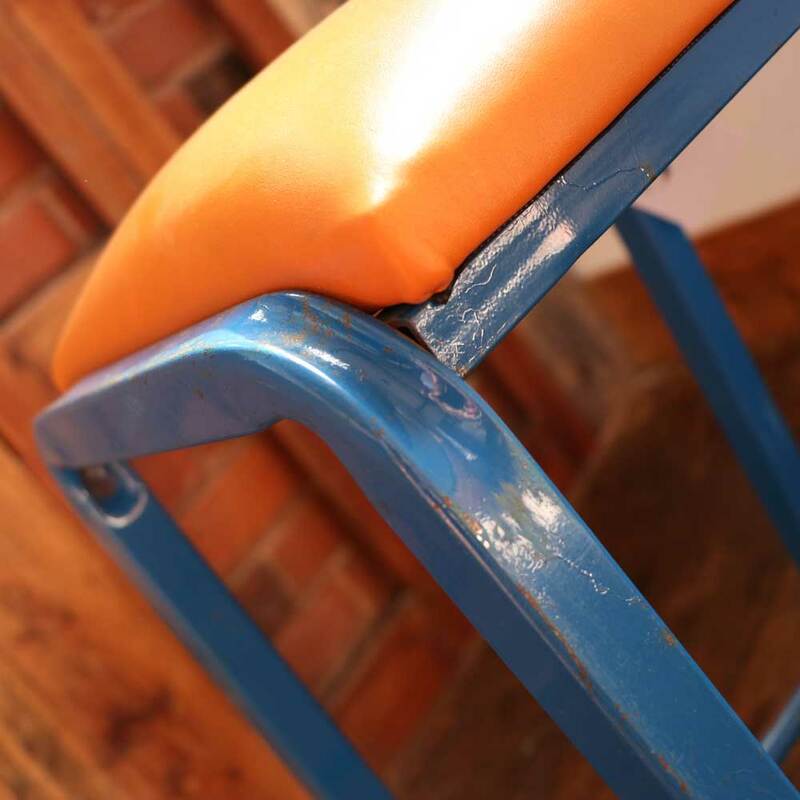 The original blue frame is in good condition with a few signs of use due to age. 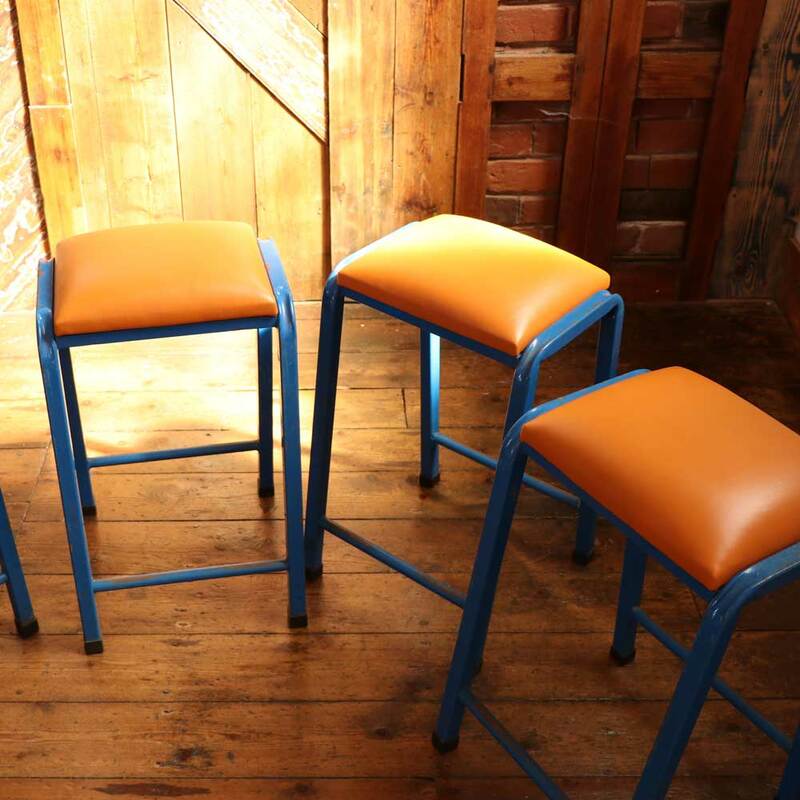 There is a set of four available so your friends and family have somewhere to sit when you are entertaining. 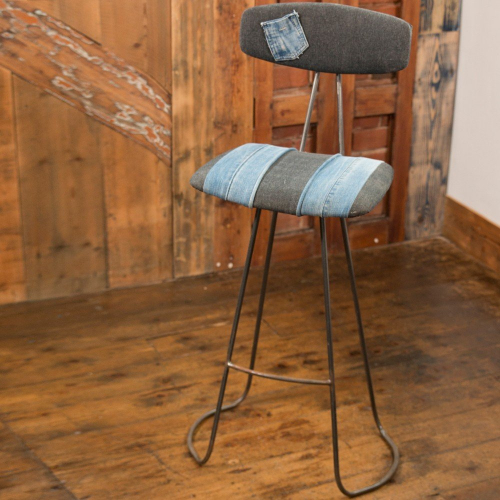 Free shipping to UK Mainland. 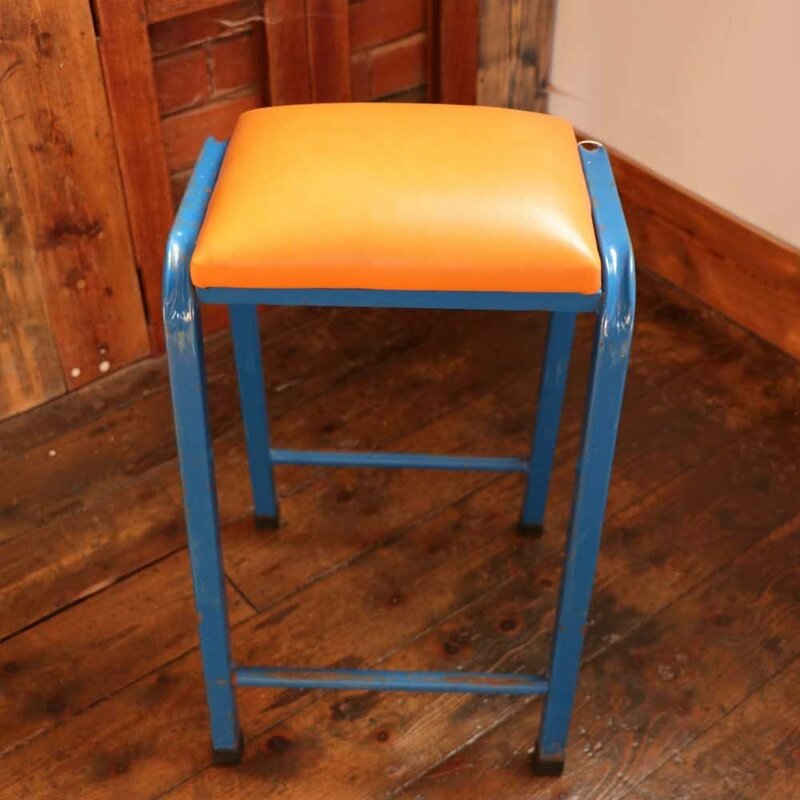 Please enquire for other locations. 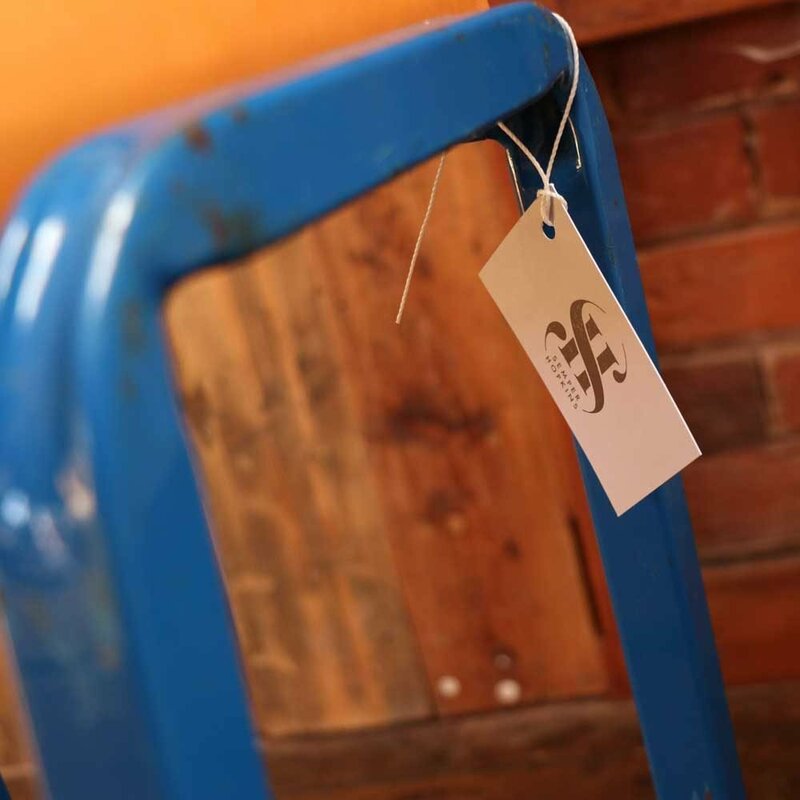 Please contact us at hello@shupholstery.co.uk if you have not found what you are looking for.